Home Moorestown News Seventy-seven students to graduate from Moorestown Friends School. 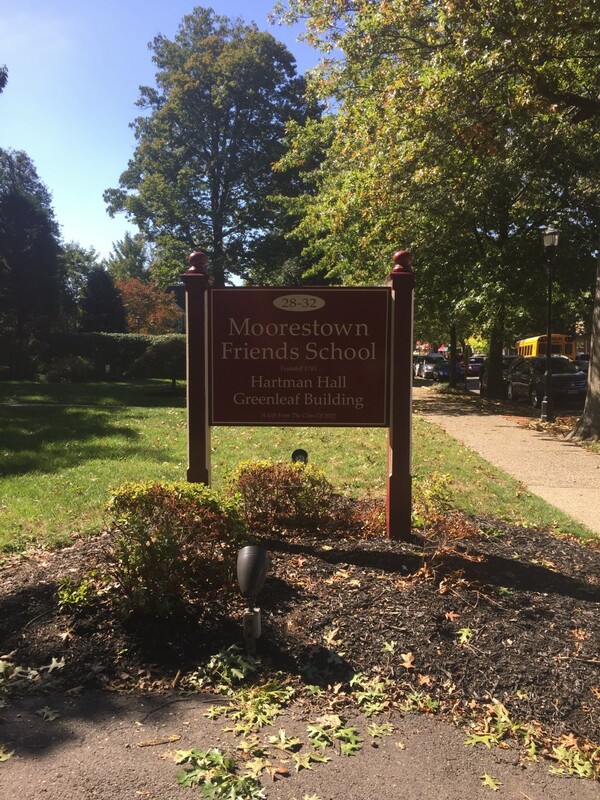 Seventy-seven students to graduate from Moorestown Friends School. Commencement will take place on Saturday, June 9 at 7 p.m.
Moorestown Friends School (MFS) will hold commencement for the 77 members of the 2018 graduating class on Saturday, June 9 at 7 p.m. at the school. The graduation ceremony is scheduled to be held outside, with seniors exiting from the doors of the Upper School and walking around the driveway known as The Oval to the group seating area. In case of inclement weather, Commencement will be held in the Baiada Field House. Commencement speakers will be Upper School Director Meredith Godley, as well as students Roman Daniel (Riverton/attending Lafayette College) and Sujin Kim (Mount Laurel/attending University of Michigan). Commencement speakers are selected by members of the senior class. MFS does not compute class rankings or designate valedictorians/salutatorians. Traditionally, one male and one female student are selected along with a teacher, and it is considered an honor to be chosen. All graduates will matriculate at four-year colleges and universities or pursue a gap year. This year’s chosen schools include Brown University, Cornell University, Hamilton College, Haverford College, Johns Hopkins University, Smith College, Swarthmore College, University of Pennsylvania, Wesleyan University, Yale University and many more. The Moorestown Friends School Commencement ceremony includes a number of significant traditions. Graduates have worn white dresses and formal men’s attire in lieu of caps and gowns since at least the early 1900s (MFS was founded in 1785). Quaker secondary schools traditionally do not use robes, which are an outgrowth of clerical garb. Another tradition is that the Head of School reads the diploma of one of the “Originals” — students who have attended MFS since preschool, prekindergarten or kindergarten. Eighteen members of the class of 2018 are originals.